Clear a space on your sofa and set your alarm for 7am on Friday the 29th of January: our legendary seconds sale is happening! We have the highest production standards- which means that sometimes there are products that don’t make the final cut. Printing onto fabric can be a tricky business- and every now and then we spot tiny imperfections in our printed designs. They’re usually perfect in every other way- still 100% functional and every bit as beautiful. That’s where our Seconds Sale comes in! We’ll be offering slight seconds, sample colours and discontinued cushions, wall art & accessories at up to 50% off this Friday the 29th of January 2016. In the past we’ve hosted our sales at our Dundee Studio but after moving to central Scotland in 2014- our sale will now be online only at www.nikkimcwilliams.com. Like all sale items previously- items purchased in the event will be non-returnable or exchangeable. Past sales have sold out within a few hours- so for your pick of the biscuity bunch- we’d recommend setting your alarm for 7am on Friday 29th of January. Like surprises? You’ll love our Pick ‘n’ Mix bags! 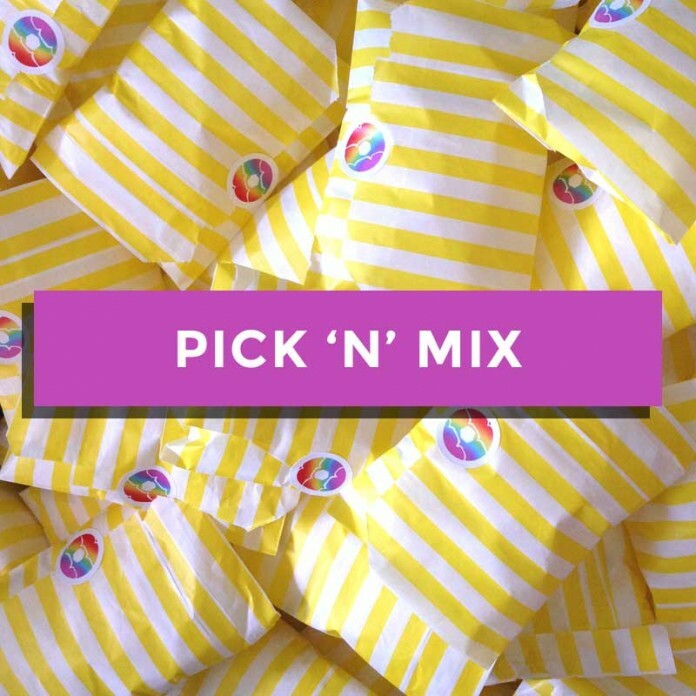 As well as your choice of goodies in our online store, we’re also putting together some super surprise Pick ‘n’ Mix goody bags! These will contain a surprise choice of a charm necklace, mini cushion DIY kit & pack of greetings cards (all full-price, non sale stock) worth £26 for the special price of £15. We’re even throwing in free UK P&P! We’ll have a limited number of these on the day of the sale, and like everything else purchased as part of the event- these are non returnable or exchangeable. Excited? WE ARE! 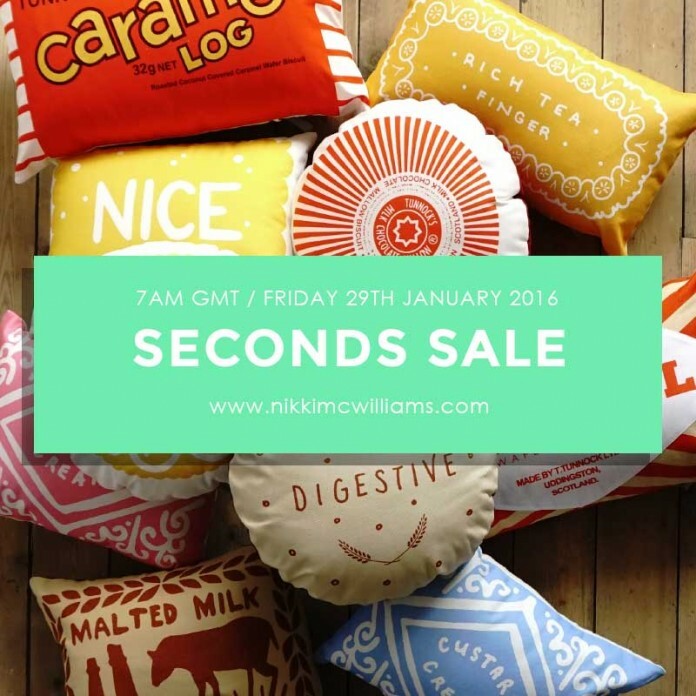 Don’t forget to sign up to our newsletter for your sale reminder or set your alarms to join us at www.nikkimcwilliams.com at 7am GMT on the 29th of Jan 2016. In the mean time, happy dunking!